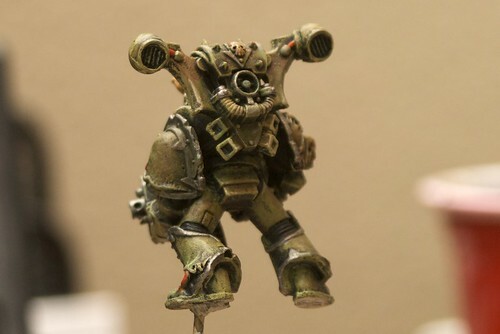 I just posted a tutorial on the Bolter and Chainsword forums on painting a Death Guard model using primarily washes. Check it out here. I'll skip the boring middle parts and go straight to the finished product. You can thank me later! Painting this model was more fun that I thought it would be. 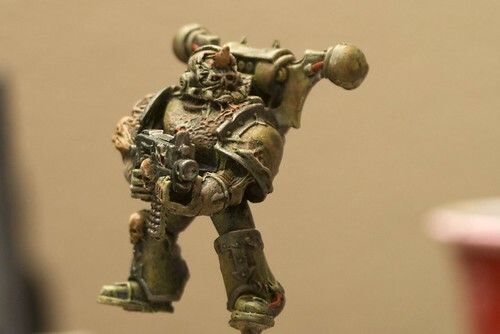 Its going to be hard to concentrate on finishing those weak fleshed Imperial Guard so that I can start on some real models, like the Plague Marines!